Spectacular views are just the beginning. To the south, the dramatic skyline of downtown Toronto rises against an azure sky. In a neighbourhood that defines urban sophistication, CityLights will be the definitive new address, comprised of two soaring 34-storey towers connected by a majestic 5-storey podium that anchors the community. With contemporary architecture delineated by clean slender lines and wide expanses of glass, CityLights will be a shining beacon in the neighbourhood, a landmark to see and be seen at. 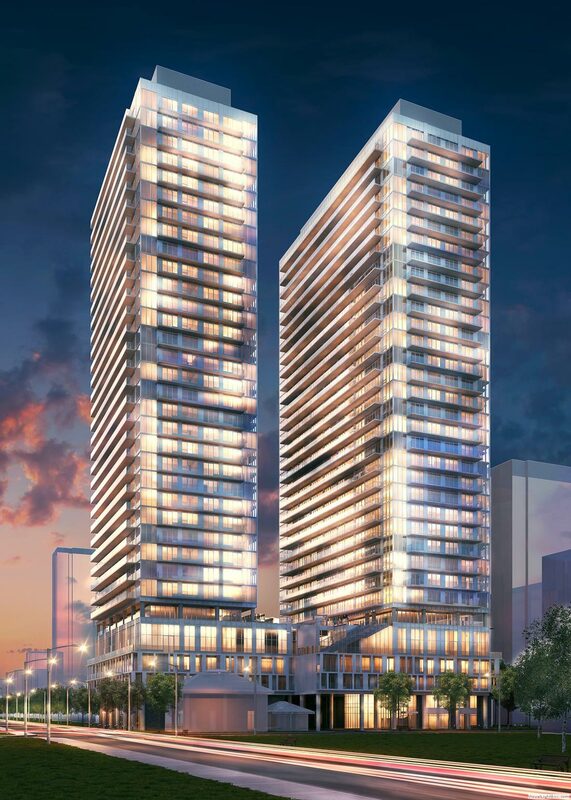 Capitalizing on the amazing vistas, the podium’s rooftop will offer an inspired roster of outdoor leisure and entertainment amenities overlooking some of Toronto’s most pleasing panoramas. This is city living at its best. While enjoying speedy connections to downtown via the north-south Yonge subway line, residents of Yonge-Eglinton currently have no major east-west transit corridor. The new Crosstown LRT will change all that. Part of a multi-billion dollar investment from the Ontario government, the Crosstown LRT will run across Eglinton Avenue, between Weston Road and Kennedy Station. This 19-kilometre corridor will connect residents with all points north, south, east and west of the city. With 25 stations and stops, links to 54 bus routes, three subway stations and various GO Transit lines, residents of CityLights will have numerous easy and convenient options to get anywhere in the city. As Toronto’s main north-south artery, Yonge Street has everything going for it. From Indigo, Roots and Starbucks to other iconic names like Sporting Life, Mercer and Prince, Bella and Carbon, you are just steps from an eclectic array of shopping choices. A 40,000 sq. ft.
Loblaws is slated to open its doors on Eglinton, just two blocks east of Yonge, mere steps from CityLights. Greenspace in the area include Eglinton Park, one of Toronto’s largest athletic fields with four tennis courts, two baseball diamonds, soccer pitches, a splash pool, a kids’ playground and two artificial ice rinks. The North Toronto Memorial Community Centre offers indoor and outdoor pools, water slides, gymnasium, walking track and exercise rooms. Spread across 18,000 sq. ft. on three levels, the spectacular indoor amenities at CityLights are in a class of their own. Sports enthusiasts will appreciate the podium’s 4th floor with its badminton court and basketball half-court. Spanning over 10,000 sq. ft., the outdoor amenities on the 6th floor podium rooftop combine magnificent landscaping with awe-inspiring views. The two enticing pools with a connecting bridge and hammocks for kicking back are the main act. Poolside lounging areas and sumptuous Cabanas take your party to the next level. tiered amphitheater with a projection screen. Beside the pools are open fire pits with seating all around, communal and private BBQ areas, as well as a tiered amphitheater with a projection screen. Imagine movie nights while enjoying a warm summer evening. And, for the benefit of overnight company, CityLights has three impeccably appointed Guest Suites. It’s the ultimate expression of life, leisure and recreation. Meticulous attention to detail will distinguish every chic suite with features that include floor-to-ceiling windows, contemporary wide-plank laminate floors, premium countertops, custom-style cabinetry, stainless steel appliances and more. Gourmet chef kitchens, luxurious bedrooms and sumptuous ensuites with soaker tubs and floating vanities are just some of the features that take urban living to a new high. Vanity mirror Light in ceiling. Floor-to-ceiling height of approximately 8’6” in principal rooms excluding mechanicalbulkheads (some podium floors are 8’-0”ceiling height). Wood door casings with matching trim and4” baseboards. 100 amp service panel with automaticcircuit breakers. White Decora-style switches andmatching plugs. Telephone outlets located in living room, allbedrooms and den (one per room).